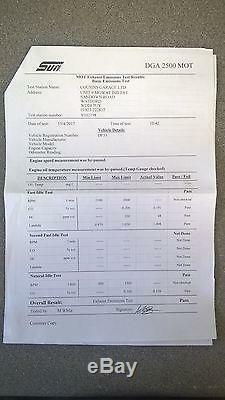 Vauxhall Astra G Mk4 SXI 1.6 Z16XEP Twinport Complete Petrol Engine. Removed from a'53' plate'2003' Astra G, 1.6 16v Petrol 5 Speed Manual in good working order. The donor vehicle was scrapped due to an intermittent fault with the service light appearing, which caused limp mode. This engine is known to have the revised cam cover installed, solving the vacuum issue. Colour Code - Z20R - Black Sapphire. This is NOT a'bare' engine. This includes alternator, power steering pump, A/C compressor, injectors, fuel rail, coil pack, wiring loom complete to ECU as seen in photo's. The engine was fully tested prior to the removal, it was brought to full operating temperature and was found to run smoothly with no problems apparent. Can be delivered at buyers cost within a 50 mile radius of Rickmansworth, Hertfordshire, Junction 17 - M25. Payments and collection to be made within 3 days of the listing end date. Unfortunately we do not have the facilities to palletise Engine's, Gearboxes, Body Panels etc. IT IS THE BUYERS RESPONSIBILITY TO CHECK THE PARTS ARE CORRECT FOR THEIR VEHICLE. Any Questions , please contact 07837 355381. The item "Vauxhall Astra G Mk4 SXI 1.6 Z16XEP Twinport Complete Petrol Engine" is in sale since Saturday, May 13, 2017. This item is in the category "Vehicle Parts & Accessories\Car Parts\Engines & Engine Parts\Complete Engines". The seller is "skifton1964" and is located in Rickmansworth.